Visa Launches Program to Promote Contactless Transit Payments | NFC Times – Near Field Communication and all contactless technology. 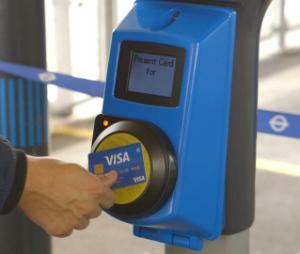 Visa has launched a unit to try to capitalize on the move by some transit authorities to open-loop fare collection. The London-based unit, called Visa Global Transit Solutions, will provide consulting and technical assistance from central and regional offices, as well as back-end payment management systems to provide transit operators with a framework for accepting fixed fares and distance- or time-based fares. Mastercard, which is believed to have played a larger role than Visa in helping Transport for London introduce open-loop fare collection in 2012, probably has similar technology. The Visa transit unit includes expansion of the network’s Visa Ready program to fast-track certification of vendors to offer transit payments technology involving Visa cards and accounts. The first “Visa Ready for Transit” vendors are processor Worldline and fare-collection systems integrator Vix Technology, said Visa.